Two months ago, Hugh Jackman gave what many consider to be the performance of his career in Logan, James Mangold’s R-rated X-Men movie that brought the curtain down Wolverine’s saga with aplomb – expect it to scurry on over to Blu-ray replete with a black-and-white cut entitled Logan Noir. Not one to rest on his laurels, the Aussie actor is already deep in production on The Greatest Showman, a musical biopic in which he plays P.T. Barnum (AKA the founding father of the modern-day circus). Surrounded by an all-star ensemble cast – Zac Efron (Baywatch) and the so-hot-right-now Zendaya (Spider-Man: Homecoming) are just two of the big-name stars attached – Hugh Jackman spoke to Entertainment Weekly about the upcoming drama, and why everyone involved was galvanized by the landmark success of La La Land. Damien Chazelle’s dreamy romance may have been pipped at the post during February’s Oscar ceremony, but there’s no question that the director’s musical proved to be a breath of fresh air for the genre. Up until La La Land, everyone was saying there hasn’t been an original musical in 23 years. So the prevailing thought in Hollywood was, unless you have a brand people know, it’s not a done thing. So it just took a long time. This was also a time in America where puritans kind of ruled and the circus was the equivalent of some dark-alley-strip-show kind of thing. Also starring Rebecca Ferguson and Michelle Williams – they’ll play a Swedish opera singer and Barnum’s wife Charity, respectively – The Greatest Showman takes place in the mid-1800s, though songwriters Benj Pasek and Justin Paul have seemingly made a conscious effort to compose music that wouldn’t sound out of place today. 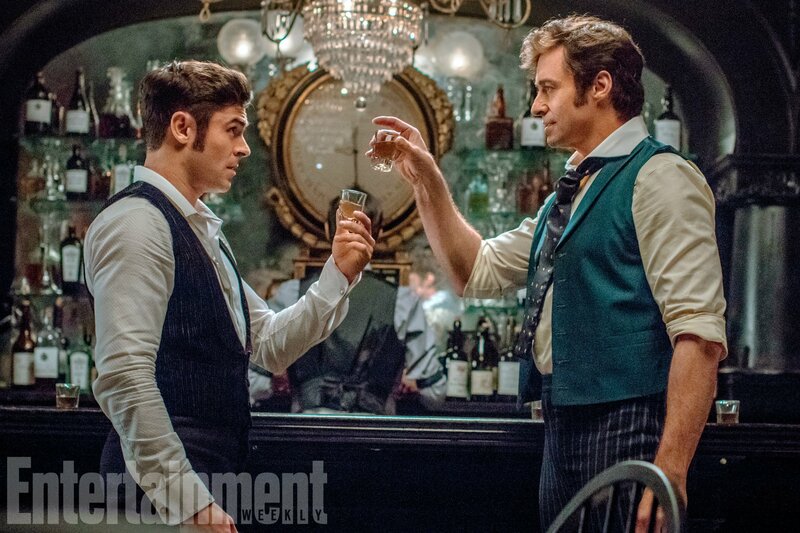 The Greatest Showman will sing and dance its way into theaters on December 25th.